The V-PLEX Mouse IL-17C Kit is optimized for long-term and multi-site biomarker studies that require reliable, reproducible results with lot-to-lot consistency. The V-PLEX Mouse IL-17C Kit enables the sensitive detection of IL-17C in multiple sample types including serum, plasma, urine, and cell culture supernatant. To learn more about the advantages of V-PLEX assays click here. The V-PLEX Mouse IL-17C assay is available as an individual assay as well as in a multiplex combination with other Th17-related analytes in the V-PLEX Th17 Panel 1 Mouse Kit (catalog # K15246G, K15246D). 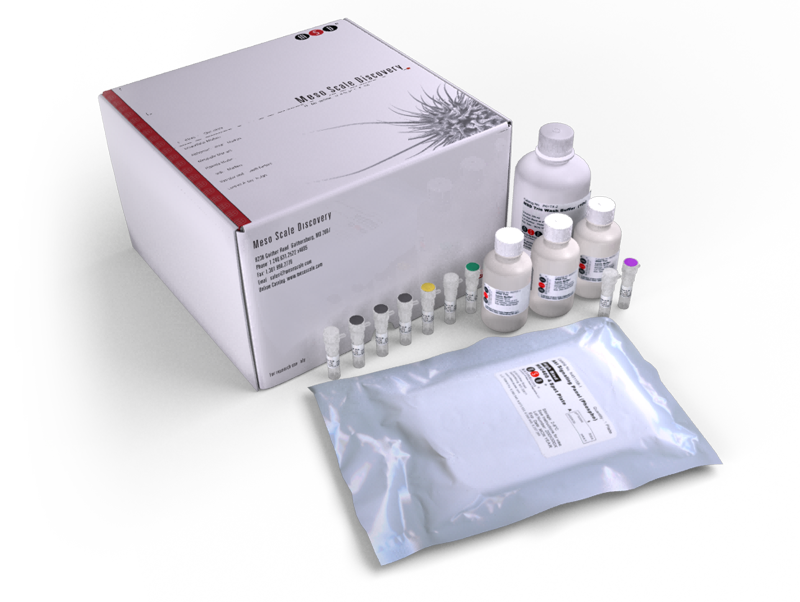 All V-PLEX kits come with coated plates, calibrators, labeled detection antibodies, optimized diluents, a comprehensive product insert, and a certificate of analysis. 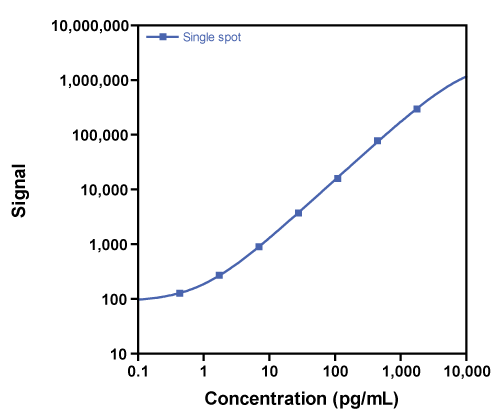 Calibration curve for the V-PLEX Mouse IL-17C Kit was assessed and representative data is presented below. Description - Mouse IL-17C is one of the six-member IL-17 cytokine family. They are secreted as dimers and induce local cytokine production and recruit lymphocytes to inflamed areas. IL-17C regulates the innate immune system in a proinflammatory manner and binds to IL-17RE receptor-expressing Th17 cells.